Authorities in the Czech Republic have spared Bodgan Danilishin, Ukraine’s ex-minister for the economy, from the risk of extradition to his homeland. ­Danilishin, an ally of the former Prime Minister Yulia Timoshenko, is being accused of embezzling more than 1.2 million euros from the state budget. He was detained in Prague in October last year on the basis of an international arrest warrant. Pavel Novak, the spokesman for the Czech Republic’s Interior Ministry, confirmed on Thursday that the former Ukrainian minister has been granted political asylum. The Czech authorities explained he might face trial in Ukraine for political reasons. Danilishin is denying all the charges, which, he says, are politically motivated. Timoshenko, who is also under investigation by prosecutors, has said the authorities in Ukraine are trying to remove their rivals from the political scene. The former economy minister worked in Timoshenko’s government from late 2007 until the beginning of last year. He is being prosecuted for allegedly abusing his powers while placing state orders. In particular, he has been accused of granting preferences to a firm that supplied lubricants and fuel to state companies. Another accusation concerns a contract for the construction of car parks at Kiev´s Borispol airport. Ukrainian Prosecutor General Viktor Pshonka said on Thursday that there was no politics in the criminal cases against opposition members, who were once high-ranking state officials. 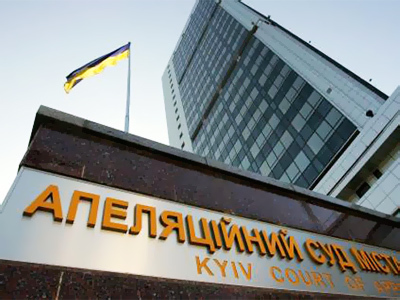 According to Pshonka, several criminal cases have been opened against the officials who worked in the current government. In a statement published by her Fatherland Party’s website, Timoshenko thanked politicians and public figures of the Czech Republic and the EU for defending Danilishin’s “freedom and right to life.” They have understood the situation in Ukraine and “made a fair decision,” she stressed.